Innovative interventions are required to achieve sustainability in the diverse SDG priorities. Landscape approaches can help develop a collective undertaking. For holistic solutions, we should learn from policies, laws and instruments used by multiple levels, public and private sectors, and scientific knowledge. A coherent design of SDGs can facilitate durable solutions on the ground. There has been a global consensus since the Brundtland Report that environmental, social and economic challenges must be addressed equally to achieve sustainable development. We also have consensus that any policy response to sustainable development challenges must incorporate multi-level governance and cross-sectoral approaches. Despite this consensus and despite the many efforts to achieve sustainable development, there is ongoing frustration at the slow progress. This slow progress is therefore not due to a lack of attention to goals and problems, but is instead owing to a lack of learning around policy instruments. We suggest that learning, which integrates knowledge about how policy pathways have succeeded – or failed – to solve problems is a missing step; this is referred to as a policy learning architecture. However, before the policy pathways and institutions required to address problems can be effectively discussed, it is necessary to understand the type of problem. Some problems (Type 1) may have win-win solutions (such that environmental, social and economic pillars of sustainable development are all met), if the correct instruments and tools are adopted. However, it is important to also identify that some problems will never be able to boast a win-win solution, but rather require compromises and balances to be struck (Type 2). Yet other problems are of paramount importance, such that they ought not to be compromised in any solution (Type 3). Attempting to solve a Type 3 problem – such as climate change – with the same instruments and through the same architecture as a Type 2 problem will never be successful. This discussion forum suggests that policy learning architectures are the most appropriate method by which problems can be identified, discussed and appropriate solutions proactively proposed. To address climate change or sustainable development, we cannot afford to rely on only one level of stakeholders: we must bring all stakeholders into a global coalition: business, industry, civil society, local communities, indigenous groups, academia and all levels of government, across sectors. Indeed, we propose that a necessary role of governments to invest in stakeholders – particularly in citizens – as enforcement of any interventions to problems of climate change and sustainable development falls to them. This improvement in knowledge is vital to build policy learning, in order to build capacity to debate on the “cause and effect” of different instrument and policy choices. Moreover, while it is agreed that sectoral integration is ultimately required for a sustainable landscapes approach, there is nonetheless a lot to learn from historical sectoral policies. Likewise, although a multilevel governance approach is necessary, we can also learn from how lower levels of government have addressed problems. This historical perspective is vital to a policy learning architecture. Durable global networks that bring in all stakeholders are an effective way to integrate multiple levels towards integrated and coordinated problem solving. By building global networks that are durable and bring all stakeholders to the table in a long-term thinking way, policy problems of complexity can be addressed in an innovative and flexible manner. 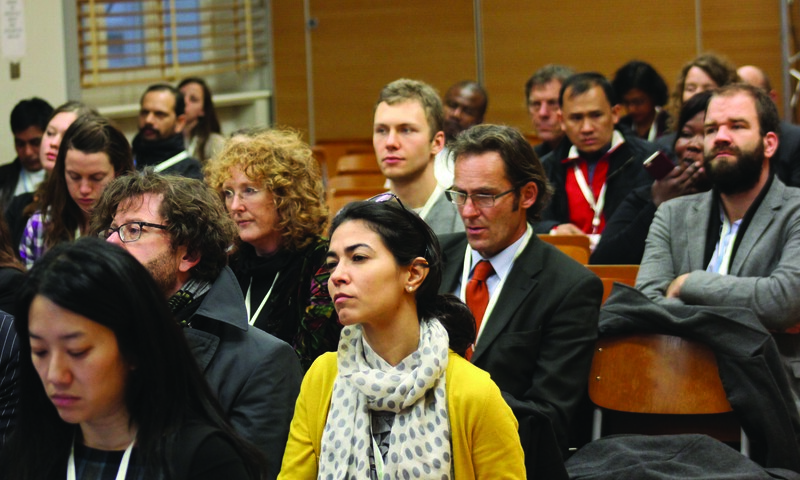 How to improve the institutional setting for sustainable landscapes?